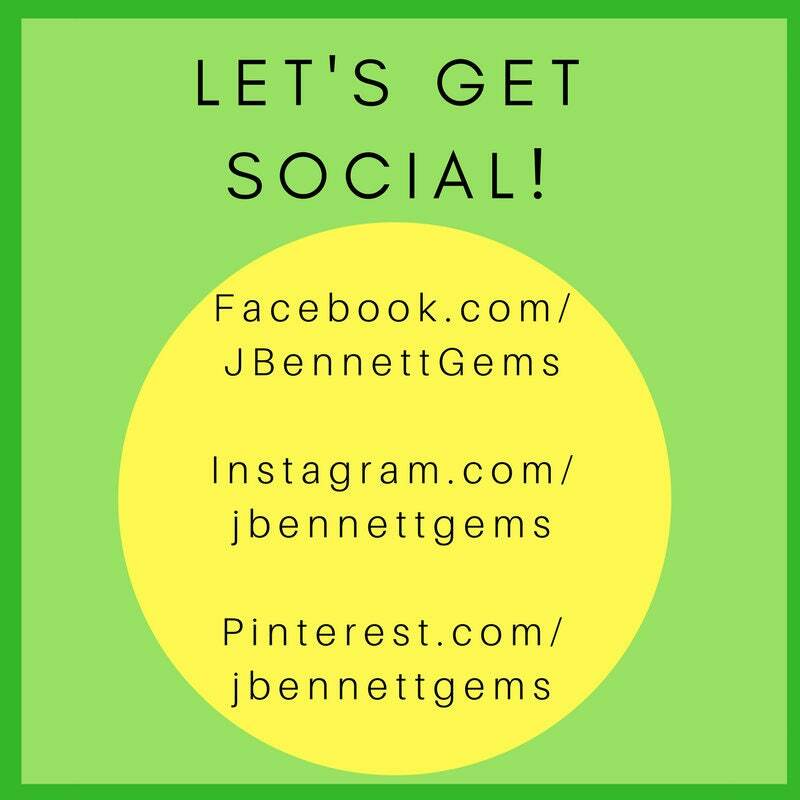 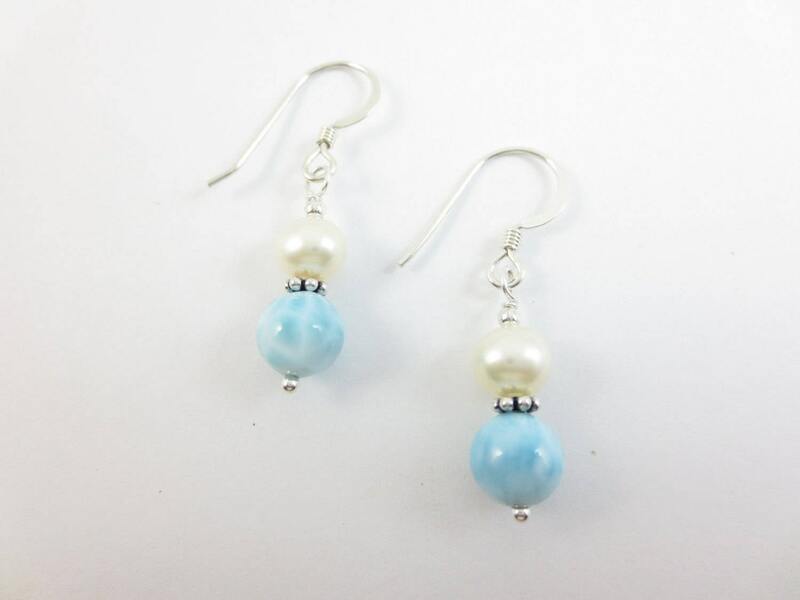 These wonderful earrings brighten your life! 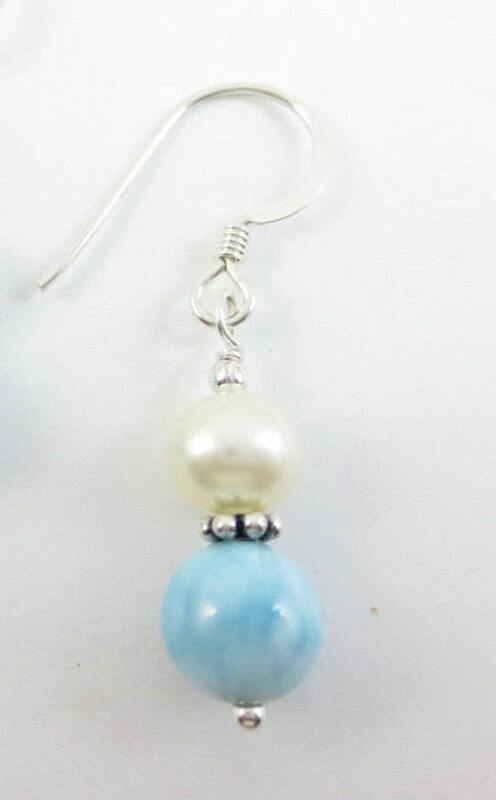 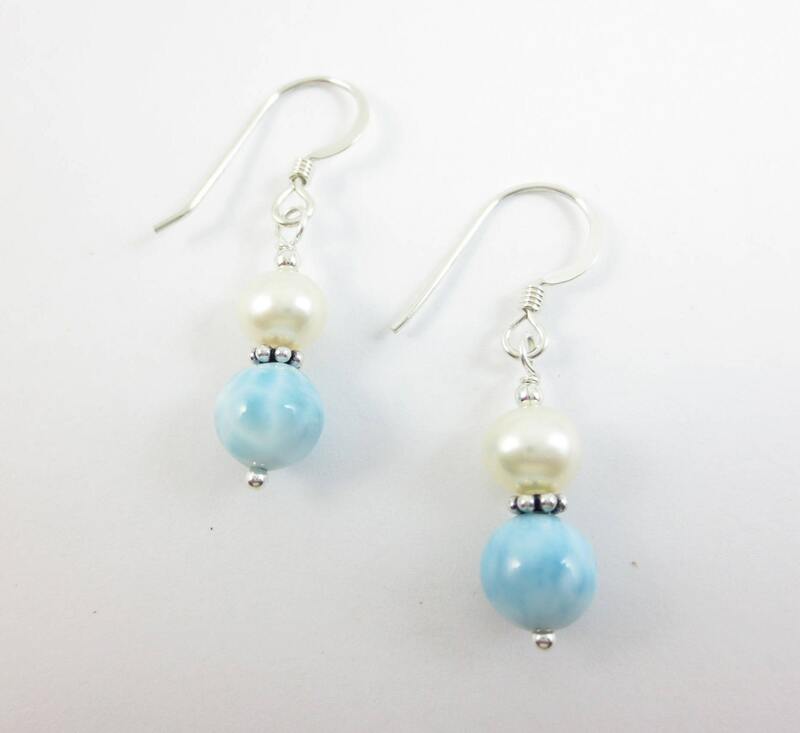 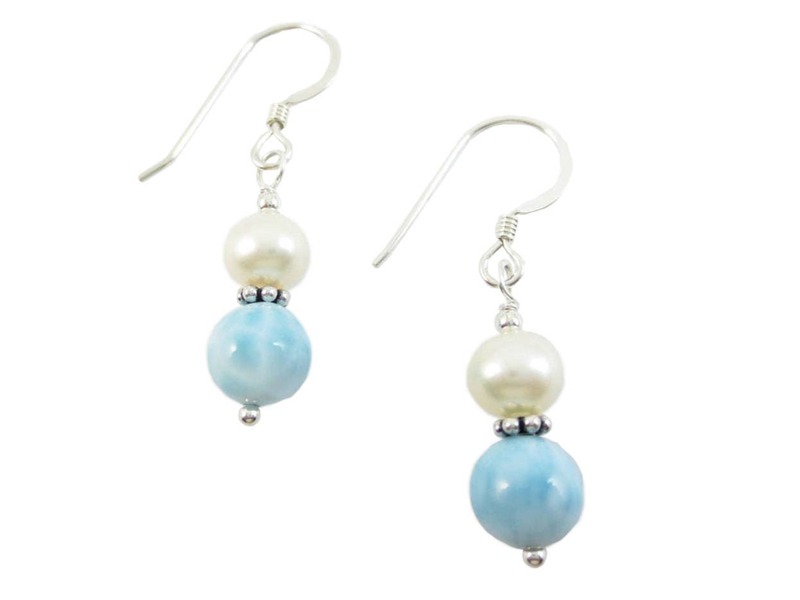 They're made up of 6mm white Fresh Water Pearls stacked on 7mm round Larimar with Bali accent beads. 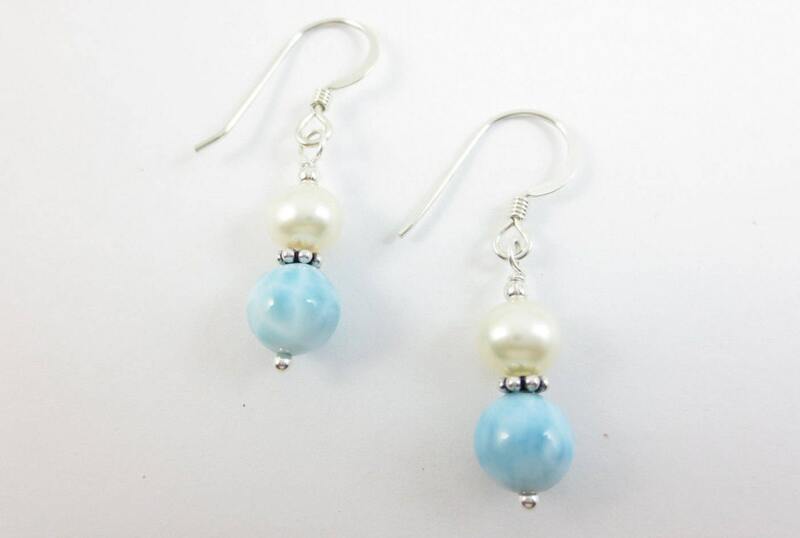 The unique, sky blue of Larimar captures your imagination with the mystery of Fresh Water Pearls. 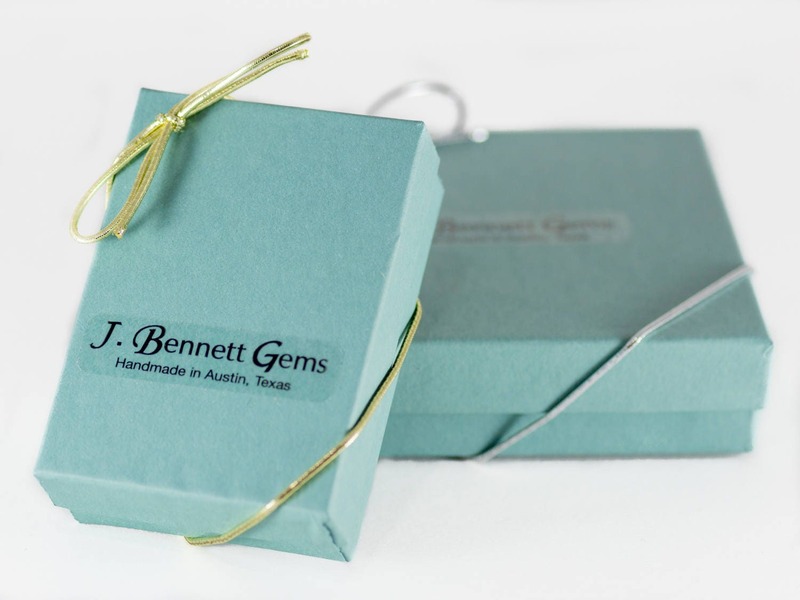 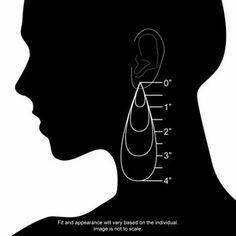 Select on Sterling Silver or 14k Gold Fill.